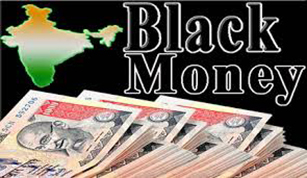 For the BJP, for Prime Minister Modi and for BJP national president Amit Shah, the issue of election funding, the menace of black money in elections and the over-arching issue of election funding has always been an issue of focus. By inviting a discussion on simultaneous elections, by undertaking the demonetization route towards curbing black money and its influence in our elections, the BJP, under Prime Minister Modi, has set the tone for a larger public discourse on the issue. Among the many striking things that the Union Budget 2017 did was to put the spotlight on election and party funding in the country. Naturally those who have always looked the other way or thought it prudent to keep silent on the issue of political funding have chosen to again keep silent or put the lid over the entire debate. For the BJP, for Prime Minister Modi and for BJP national president Amit Shah, the issue of election funding, the menace of black money in elections and the over-arching issue of election funding has always been an issue of focus. By inviting a discussion on simultaneous elections, by undertaking the demonetization route towards curbing black money and its influence in our elections, the BJP, under Prime Minister Modi, has set the tone for a larger public discourse on the issue. In fact, BJP president Amit Shah, in a television discussion sometime in December clearly spoke of the need to curb the influence of black money on elections and pointed out how the BJP since he Jana Sangh days were committed to achieving this objective. 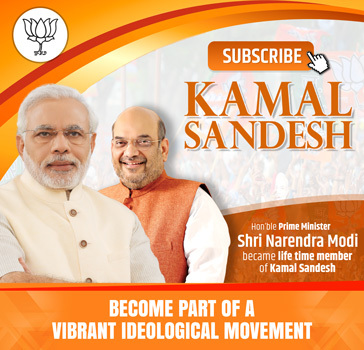 Throughout his election campaigns, on the floor of the House, in his address to the nation Prime Minister Modi has always stressed on the need to clean up the system of political and election funding, while BJP president Amit Shah has continually and publicly called for the need to clean up the system. Ironically most other parties are silent on the issue, especially those, like Trinamool Congress and the Communist parties, which have always put up pretence of probity in public life. What is strange is that these parties, along with the Congress were the most vocal against demonetization, knowing full well that the process has dealt a massive blow to fake currency racketeering, to black money, to terror funding, to human trafficking – all clear threats to our national security. Are these political parties then not really concerned with safe-guarding India’s sovereignty and security and are more concerned about their aggrandizement is the moot question. As early as 1961, when the era of big election spending had already started thanks to the Congress party’s extravaganza and profligacy, Pandit Deendayal Upadhyaya had pointed out how this was causing damage to the entire electoral process and to governance as well. He had warned that if steps are not taken to mend them, powerful lobbies will emerge in the country’s legislatures and political decisions will hardly be taken in an objective manner taking into consideration only the welfare of the people and furtherance of national interests. The parties that want to develop into major parties should be careful not to sacrifice principles for quick gains.” Over the years however the art of sacrificing principles for quick gains was mastered by the Congress and up until 1967 when it was the single dominant party across the country it corrugated and corrupted the systems and frameworks beyond redemption. So deep was its interest rooted in opportunism and in eroding institutions that it resisted bringing about any major reform or change – how could it, after all it was the party that destroyed our state institutions by corrupting mechanisms and methods. The priority for the party was winning elections somehow and the perpetuation in power. It carefully avoided any major step that would clean up the system, inject new vigour and transparency in it and ensure probity in public life and dealing. The holding up of action against Benami properties for decades is a case in point while no progress had been made on the issue of black money and non-compliance with taxation was tolerated. All this resulted in a miniscule section benefiting with patronage from a section of the political class, while the majority of toiling Indians suffered and continued to face marginalization. Prime Minister Modi’s approach to the issue has been drastic as well as nuanced. Drastic because with the sledge-hammer of demonetization he has hit hard at the root of black-money and terror funding and nuanced, because he has called for a national discussion on election funding and through his own party has set the ball rolling. This he could do, as he boldly stated in the Lok Sabha, because he cared not for election results but for probity and cleanliness in the system.